Passed with just 2 minors! 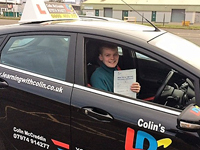 Thanks, Colin, for all your hard work in helping me to reach my goal of learning to drive, which is much appreciated. I will happily recommend both you as an instructor and the LDC way of learning to drive to anyone. I really liked Colin’s calm and relaxed style of instruction. I also really liked the LD system of learning to drive as I knew where I was every step of the way. The LDC Skills Workbook and the online learner hub tuition and videos especially, helped me prepare for my lessons. I am over the moon with my first-time pass and can happily recommend both the LDC system of learning to drive and Colin as a fun and patient instructor to learn with. I used the LDC Driving Skills Workbook and the Lesson videos to help me prepare for each lesson, so I had a good idea what to expect before I got in the car. 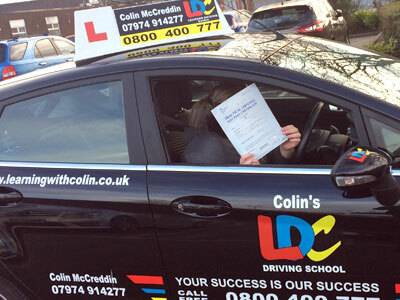 Colin quickly managed to get me to believe in my ability to drive with his relaxed learner-centred coaching style. We then worked our way through all the different aspects of learning at a pace that suited me. I was occasionally taken out of my comfort zone to help me progress, but I never felt out of my depth at any time during the process which led to a first-time pass in under 30 hours! 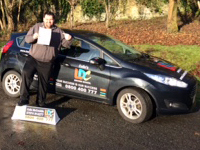 I really enjoyed my time learning with Colin and would highly recommend him as an instructor and the LD system as a great way to learn to drive.